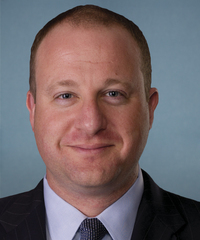 Jared Polis is the governor of Colorado. He previously served as U.S. Representative for Colorado’s 2nd District, and was first elected in 2008. Polis has supported sage grouse habitat protections, limiting methane pollution, and permanent reauthorization of the Land and Water Conservation Fund. Polis opposes federal land transfers and selling public lands. In response to President Trump’s executive order calling for a review national monuments, Polis stated he would “do everything to protect national monuments, which are treasured by all Coloradans and Americans.”. Then-Representative Polis Supports Limits on Praised the Methane Pollution Rule. Then-Representative Polis Supports Permanently Reauthorizing the Land and Water Conservation Fund (LWCF). Then-Representative Polis Opposes Selling or Transferring Public Lands.